Still from "Out Run," directed by S. Leo Chiang and Johnny Symons. 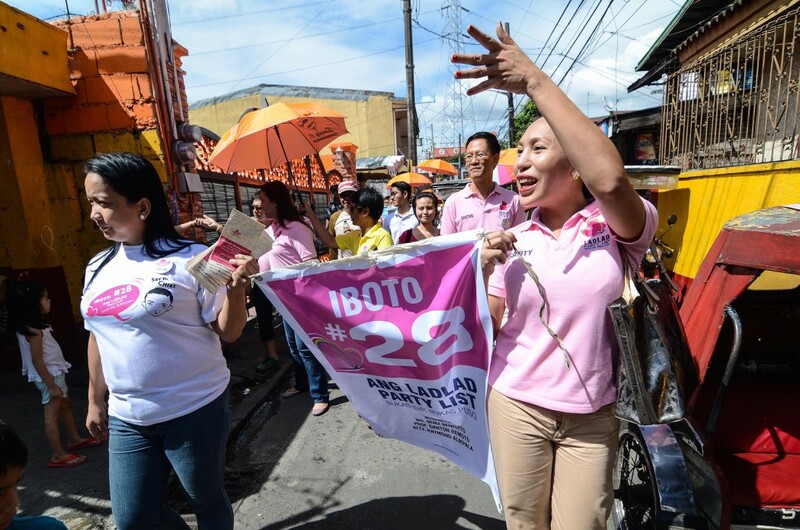 Bemz Benedito, leader of an LGBT political party, runs to become the first transgender woman in the Philippine Congress. Catch it on World Channel in June and Comcast in July. Directors S. Leo Chiang and Johnny Symons chat about documenting the leader of Ladlad, possibly the world’s only LGBT political party, which is in the Philippines. Their documentary, Out Run, tells the story of Ladlad leader Bemz Benedito, as she aims to become the first transgender woman in the Philippine Congress. Follow Benedito as she rallies the transgender beauty queens and hairdressers in working class neighborhoods in the Philippines. Catch it now streaming for free until June 28, 2017 on World Channel’s Doc World. The co-directors answer some questions to shed led on how they made the film and what impact they hope to have. How did you become interested in making a doc about this topic? Originally, we conceived of the project as highlighting LGBTQ+ political movements and leaders in the developing world. So much progress has been made on LGBT rights in North America and Europe, but what were the experiences of activist and political leaders in more conservative, religious and traditional parts of the globe? Early on we filmed in Kenya and Nepal, along with focusing on the Ladlad LGBT party in the Philippines. As the project progressed, we began to recognize that the story of Ladlad and their historic effort to elect a trans woman to the Philippine Congress was incredibly dynamic and warranted its own film. We felt that it was a story that would deeply resonate with audiences around the world. How long did you spend in the Philippines, and did you have a local crew? What was that like? We visited the Philippines five times over a three-year period to document the campaign and its aftermath. We did almost all the filming ourselves as a two-person camera-sound team. When key events happened simultaneously, we set out independently and filmed alone. At other points, we worked with local crew—field producers, additional camerapeople, translators, production assistants—who helped make sure that we were capturing and relaying complex scenes in an accurate and culturally sensitive way. It was a challenging process to film a dynamic process in real time on the other side of the world, especially when much of the action was taking place in a language we didn’t speak. At the same time, our subjects came to appreciate the broad outside perspective we brought to our filming. As with all documentaries, the film was a collaborative process, and we are grateful to our subjects for sharing their lives with us and the audience. What did you learn from making the film? Filipino LGBT culture is a fascinating mix of traditional and Western concepts. We were impressed at the clever approach our film subjects took in mobilizing their constituents through grassroots outreach in hair salons and queer beauty pageants. It is often assumed that North America and Europe are the world leaders in championing LGBTQ+ rights, but in reality, there are tenacious LGBTQ+ activists everywhere in the world. What do you hope people get from watching the film? We hope audiences who are unfamiliar with the Philippines will come to understand the nuances and challenges of the battle for LGBT rights there. We hope LGBT activists in other parts of the world can apply Ladlad’s campaign experiences to their own efforts to organize for human rights. And we hope Filipinos and Filipino Americans—particularly those who are LGBTQ—will see themselves, their politics, and their culture reflected in a way that is thought-provoking, refreshing, and emotionally moving. One thing that we feel is very important to get across is that this isn’t a story about being trans or queer, it’s a story about being a leader. A lot of the trans stories that we see are about transition, but this is a post-transition story. The characters are very clear about what their gender orientation is; they’ve moved past that. They want to become leaders nationally and represent their people as a whole, not only LGBTQ+ communities.